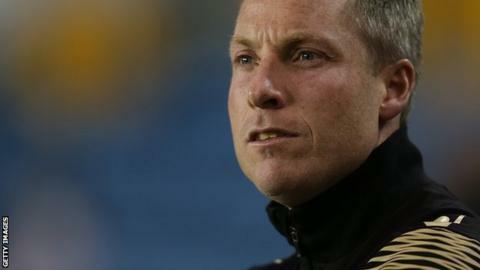 Millwall manager Neil Harris believes his side's team spirit has been instrumental in their challenge for promotion. The Lions are fifth in League One and a recent defeat at Bradford is their only loss in their last eight matches. And they boosted their hopes of a return to the Championship by beating leaders Burton on Easter Monday. "The spirit's a big thing - the camaraderie in the group," Harris told BBC Radio London. "Someone's not afraid to tell someone they've made a mistake. "As much as they might have words on the pitch, it's taken in the right manner and then it's forgotten about - and that's what good teams do. "And the next time someone does something well, players will pat them on the back and tell them they did something well. "It's vital to have that spirit in the team, where you can communicate freely." Millwall are next in action on Saturday, when they visit relegation-threatened Colchester.